1. Use flaws to your advantage. So.. if you're short .. don't whinge.. men like pixie looking women.. look at Rani Mukherjee she's hot..
2. Don't spook men needlessly. Although she was curious and well-read, a young Jackie opted to deflate her smarts around bachelors, feigning nervousness, for instance, about exams or her ability to finish coursework. In the same time don't act dumb or think men prefer dumb women.. what Jackie is trying to say is that you dont have to proove that you're Einstein's daughter to impress a man..
3. Speak softly (and carry good lipstick). 5.Be detached, and tune out all “dating” shows. 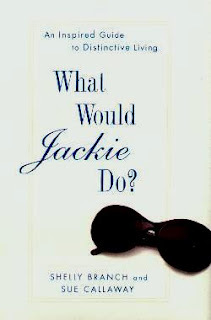 Jackie's father had firm opinions about how a woman should capture a man: “Play hard to get!” he'd admonish repeatedly. She took his advice seriously, preferring to exude nonchalance rather than commit quickly or easily. Always appear intensely fascinated by the man you're with. Never look bored, never glance over his shoulder, and always draw him out with endless questions. 7. When three's a crowd, make it four. 8.Cozy up to the family kingpin. Thanks mainly to her grandfather, Jackie knew how to handle older, powerful men — especially her father-in-law, Joe Kennedy, who favored her and her smart spunkiness over his other daughters-in-law. 9.It isn't over until the altar. Practical to her core, Jackie had no qualms about keeping her options open during her first — yes, first — engagement, to John Husted in 1952. She went about town with, among others, a dreamy journalist who had been at the Washington Times-Herald. Was this good-girl behavior? Probably not. Did she follow her gut instincts, and eventually land a future president instead? You get the idea. 10. Get the book la.. and ya be yourself dont go on pretending .. he should love you for who you are..